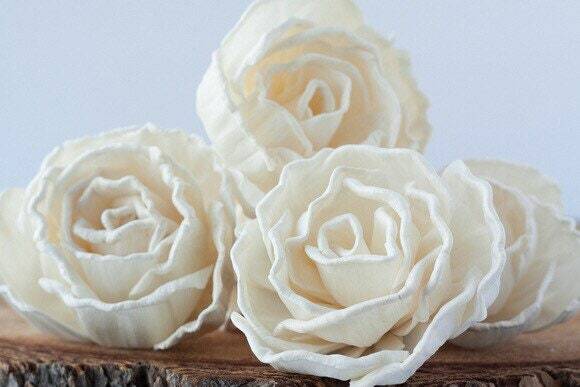 Cabbage Rose Sola Flowers - SET OF 5. Free shipping! 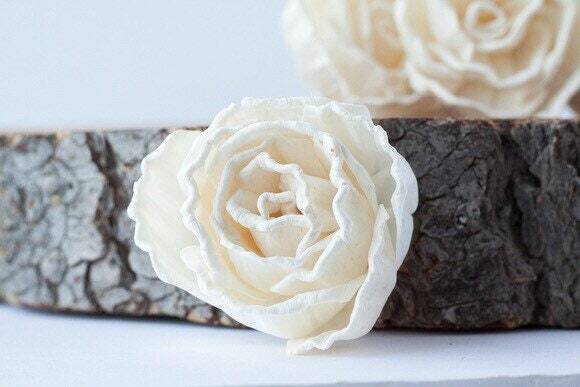 These full, modern, cabbage rose sola flowers are new to our shop and we are so excited! 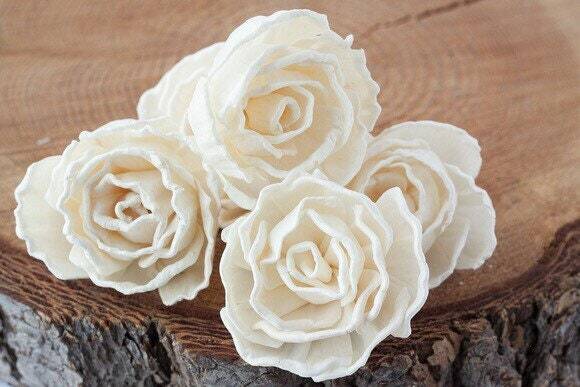 Their ruffled petals are a beautiful texture in wedding bouquets. 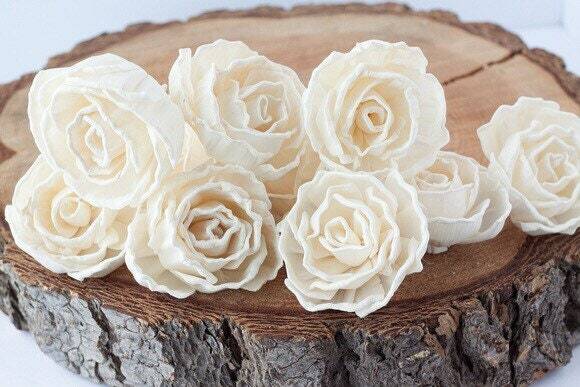 The flowers come in cream or ivory in color which is their natural color. 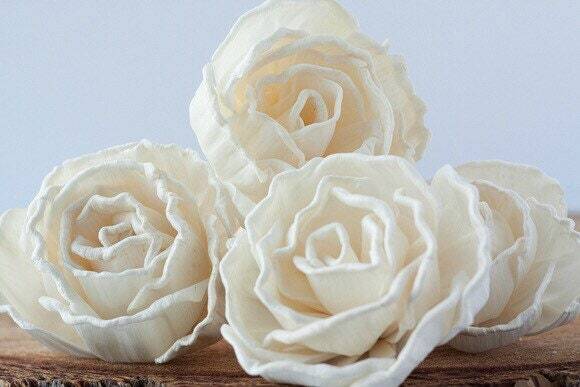 They’re undyed, allowing you to dye them in the color of your choice or use them as is. They are approximately 7 cm. in diameter or 2.75” inches. They are absolutely gorgeous and chunky (in the best way! ), arrived super quick (overseas shipment) and the communication/customer service was phenomenal. My partner and I are so excited to include these in our head table decorations in our wedding this August! I highly recommend the product and store for anyone looking for quality flowers and a fantastic shopping experience. Beautiful Thank you for a smooth and pleasant transaction. Shipped super fast! !